All women know how important shoes are for creating a great look. 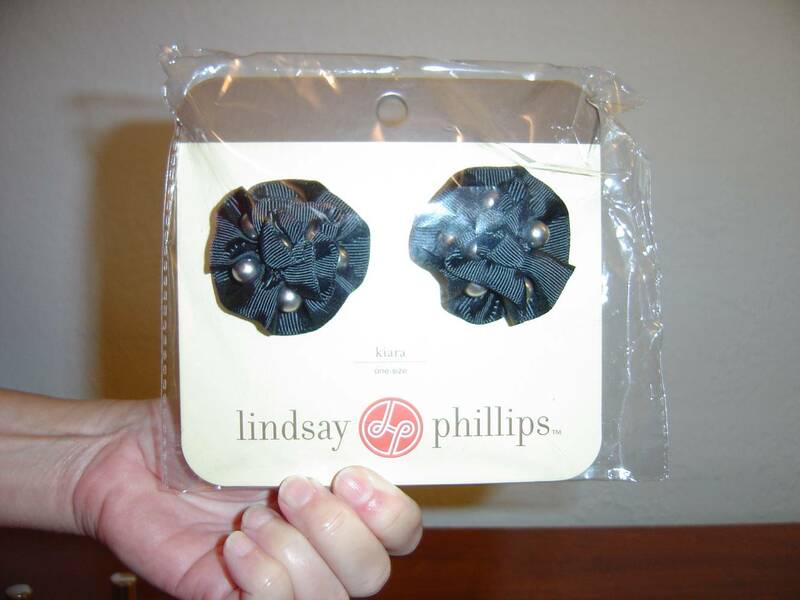 What’s even nicer is if you can have one pair that you can change with a snap accessory so that it looks like a completely different pair like the one I was sent from Lindsay Phillips for this review and giveaway. 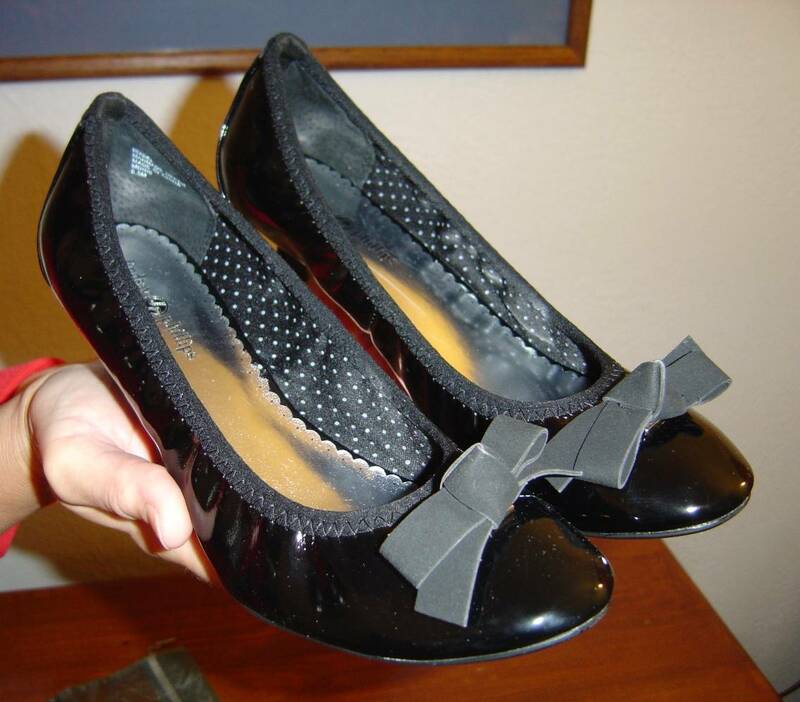 I received the cutest pair of black patent leather Isabel Kitten Heel Shoes. The company was also kind enough to include a Kiara snap on accessory so I can switch the look of those shoes if I was so inclined. The bow is actually black, but photographed gray. Their shoes run small so I ordered a pair one half size larger than I normally take, which is recommended. I was keeping my fingers crossed to see how they would fit. Honestly, I was so pleased because they fit perfectly and were comfortable. Sometimes, you know how hard it is shopping for shoes in person and finding a pair your feet feel good in without trying them on first in is even more amazing. The company has so many exciting styles and design possibilities with their snap on accessories that you will want them all once you check out their snap shoes, switch flops, jelly sandals, switch flops and ballet flats for kids, beautiful bags, gorgeous lightweight scarves, and chunky knit scarves. Trust me, if you are looking for some comfy, but stylish shoes for the holidays or to give as gifts, then do head over to Lindsay Phillips. You’ll simply flip over what they have to offer and want to own them all. But since this is the Christmas season, be generous and order an extra pair or several as gifts! However, do remember to order one half size larger than you normally wear. 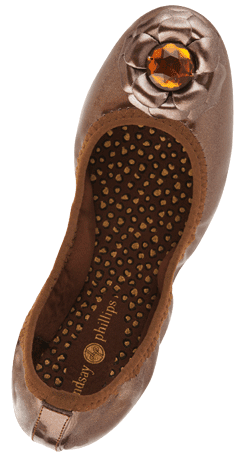 Thanks to Lindsay Phillips, one lucky Nuts 4 Stuff reader in the United States or Canada wins a pair of their Liz Bronze Ballet Flats with an extra set of Snaps (a $64 value)! 2. Go to Lindsay Phillips and tell me what other style shoe, bag, or scarf you also would love to try or something else you learned from their website and tell me which one in another comment. This giveaway ends December 5, 2011 at 12 PM Eastern Standard Time. The winner will need to respond to my email with name and shipping address within 48-hours or another winner will be picked. I would love to have the Missy Wedge Heel in Black. I entered the Rubbermaid Bento Box giveaway. I entered the Dei Fratelli giveaway. I like the Cedar Key Tote. I am a GFC follower (Jennifer R). After visiting the site it is hard to pick a favorite item… lots of great stuff. I really like the Mulberry Blue Scarf. GFC follower: Atreau.I like the Coral Gables Grey Flannel Bag. The Surfside Scarf Blue looks very nice! I tweeted about this giveaway on Twitter at https://twitter.com/#!/likwan/status/143685846594359299. I like the Isabel Kitten Heel shoes.